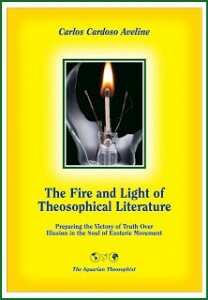 On page 1 the reader sees a note on the karma and dharma of Western civilization: “Preserving the Center of the Aura”. On p. 2, “The Dialogue Between Centre and Circumference”. Then, “A Ladder Between Earth and Sky”. On p. 4, the edition brings a poem by Kahlil Gibran entitled “Song of the Flower”. “The Art of Avoiding Traps” is on p. 5. 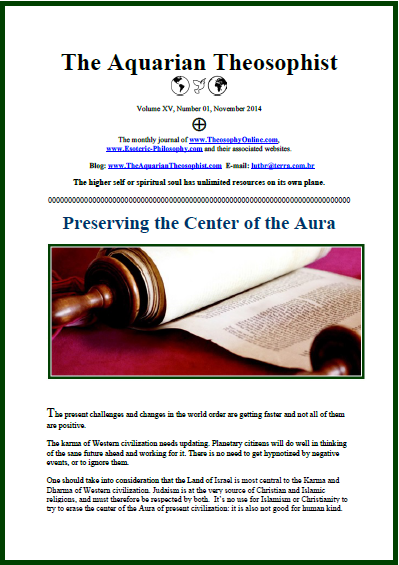 “The Jewish Esoteric Tradition” shows the natural affinity between Judaism and Theosophy. On p. 8, “Thoughts Along the Road”. * Mahatma denounces “theosophical” quietism. The 18 pp. edition includes the List of New Texts in our websites.